After Yoshihiro Akiyama’s loss at UFC 133, he anounces to Japanese news outlet Sponichi that he will be dropping down to 170 lbs. Yoshihiro hopes to take up training with UFC welterweight champion Georges St-Pierre in North America. 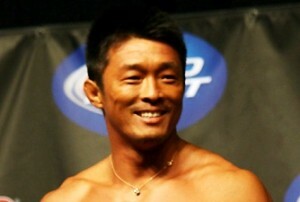 Akiyama’s welterweight debut has not been planned, however, Akiyama might earn a fight on a possible upcoming UFC card set on February 2012 in Japan.